White modular kitchens are contemporary kitchen design styles that have become quite popular recently. 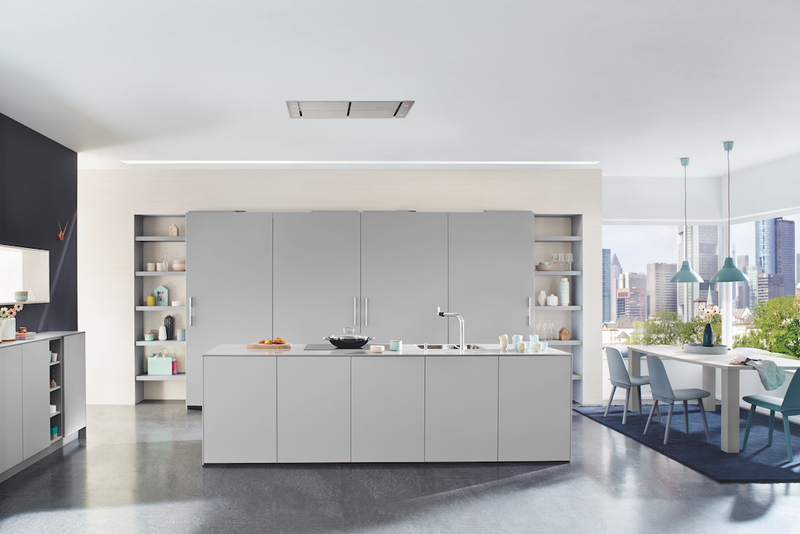 With the best options of German kitchens and Italian kitchens in India, one can choose from the varied styles of white kitchens in the German Modular kitchens and Italian Modular kitchens in India. Of the imported luxury kitchens in Delhi, Mumbai and other cities, the white Italian modular kitchen and German modular kitchen are most in demand due to its classy offbeat yet contemporary feel. The white kitchen with its minimalist layout style gives the impression of spaciousness and a natural clean vibe. The kitchen has a lot of natural light flow because of the white/light coloring. Though opting for a white kitchen is an absolutely classy option, the real deal is in the maintenance. The kitchen is the one place in the house that gets really messy, with all the oil, gas-cooking, steam, smoke, and the food ingredients and food items. Keeping a kitchen clean is a task and maintaining a white kitchen is a herculean one, but it is not impossible! There are a few nuisances that keep the white kitchen from being sparkling white and which could be avoided by a few careful measures. If you simply love the look of a white kitchen but are not sure given the maintenance act being a hard-work, then these tips for keeping it shining should make you consider it! The exposure to direct sunlight can cause the wood to turn yellow. Sunlight can even cause the painted wood and laminated surfaces to fade. However completely blocking sunlight from the kitchen is not an option, to prevent the bacterial activity. Using blinds, draperies and curtains can help. Most often while cooking, with the use of oil, ghee, and other greasy particles, the minuscule food particles camouflaged as delicious aromas, float into the air and settle everywhere in the kitchen, making the surface greasy. Using the exhaust fan while cooking can help reduce the accumulated grease on the wall and prevent them from accumulating in unwanted surfaces of your white kitchen. To remove the annoying yellow clean your white kitchen cabinets with a mixture of 1 cup of vinegar, 2 cups of warm water, lemon, and a tablespoon of baking soda. You should give the white kitchen cabinets a monthly bath by using the solution of warm water and grease-removing dishwashing soap. Cleaning your kitchen with a soft dampened cotton cloth is enough, the use of abrasive cleaners or scouring pads on painting surfaces should be avoided. If your kitchen is beautifully designed with white tiles, then is very common for the tiles to be filled in with grouts. Scrub your tiles with a mixture of vinegar and baking soda paste. As long as you maintain the necessary cleaning of your white luxury kitchen in India, your kitchen will remain sparklingly white as it is supposed to be. The bottom-line is whether it is a white kitchen or normal kitchen, cleaning regularly and frequently is necessary. If you are a fan of the beautiful white luxury kitchens in India which is a natural charmer and absolutely classy but are not sure given the task of maintenance, then you should know that any kitchen is a cleaning task, regardless. Having a white kitchen means having some extra work but that which is totally worth it! So pick your favorite kind of Italian or German white kitchen in India and know that you have the maintenance task under control, after all, the best things are worth the effort.